Click Here to see additional photos of our most modern dental office yet. 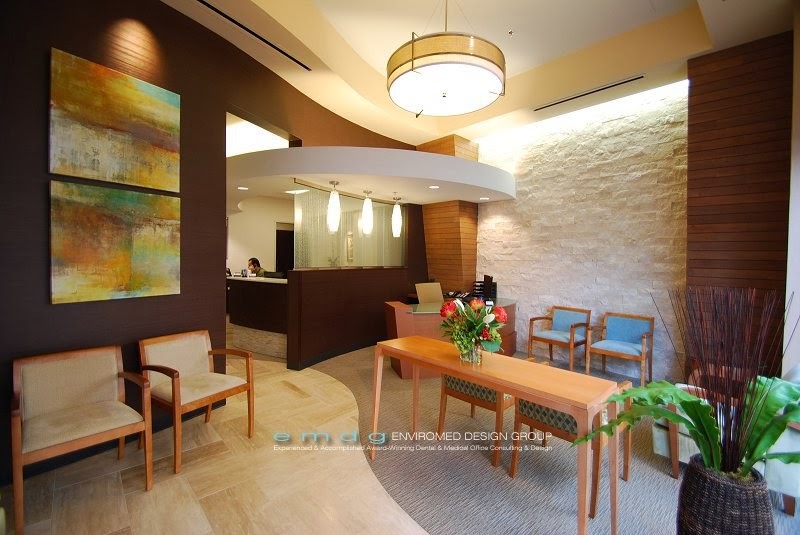 Through the use of natural stone and wood along with clean lined architecture we were able to create a modern dental office that is warm and inviting. 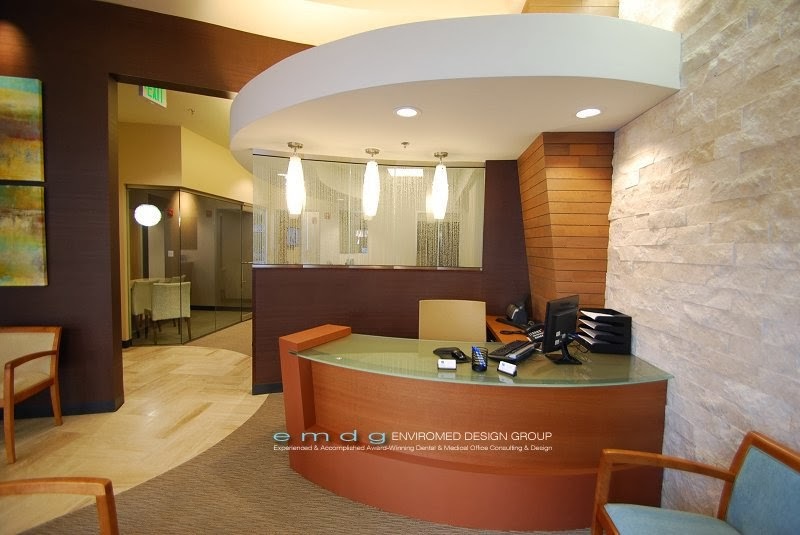 A special feature of this Reception Area is the concierge style of front desk. 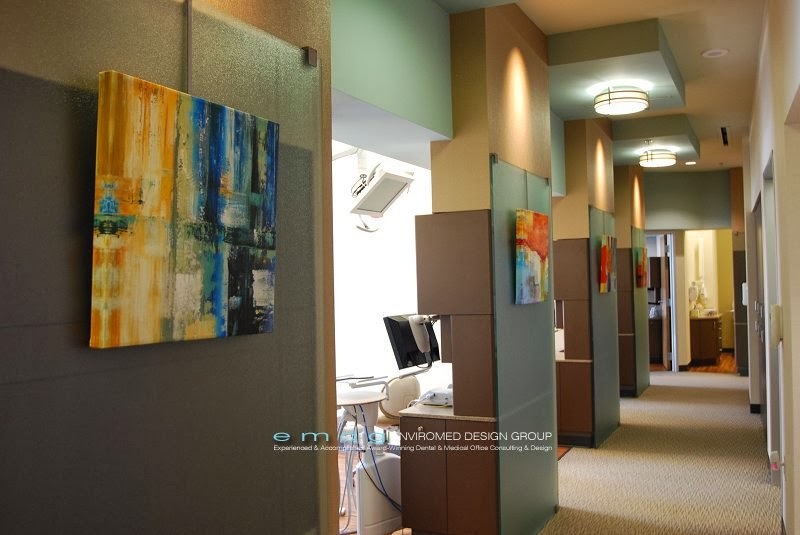 We were able to work with the dental equipment purchased for the twelve o'clock wall by placing textured glass on the corridor side and creating a space for artwork.